Had fun putting this cosplay together. 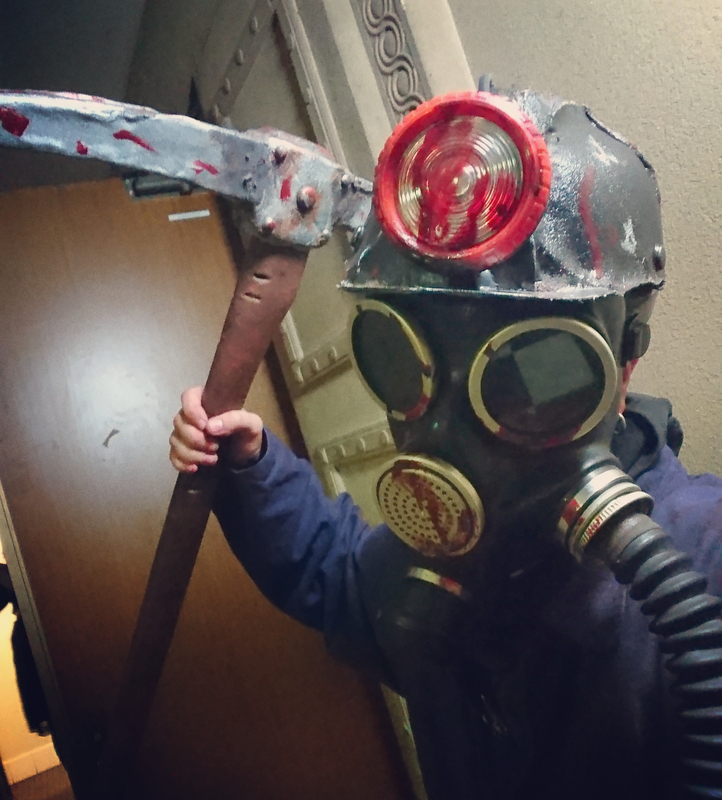 Miners hat made from worbla, pick axe foam and worbla. Gas mask has welding goggle lenses put in them.